Who is not biting their nails about SEO these days? The hardest part of all that online marketing thing is to understand what the heck it is and how to make it work the right way. Finding a trusted resource to learn from is a key to success. It may not be easy to dig out such a treasure among the piles of informational garbage cast all over the web. Luckily for us, there is a company you can rely on and which everyone who has ever typed “SEO” in Google knows for sure – Moz.com. These guys have been around since 2004, sharing precious knowledge about the marketing strategies that had been a mystery to the most people not so long ago. Today, Moz is one of the most powerful influencers in the field, providing helpful tools for businesses and marketers and having answers to all of the questions regarding SEO and online marketing you may happen to have. If you haven’t stumbled upon Moz blog yet, you’ve definitely had a glance at Whiteboard Friday series on Moz YT channel. There, in front of a whiteboard, you see the founder himself – Rand Fishkin, who has recently surprised the entire community by announcing that he leaves Moz. On that occasion, he wrote a blog post where raised the curtain on what happened and shared his plans and hopes for the future. We asked Rand for a brief interview and he kindly agreed, so we could ask a couple questions about his new project, his book, what he thinks of contemporary online marketing and which tools and resources he can advise. Alexandra Payne: Right off the bat, let me begin with the question that everyone who has been following you is eager to ask: what should we expect from your upcoming project called SparkToro? When can we learn more about it? Rand Fishkin: Well, it’s going to be a while before we have something to show off. Currently, most of my days are spent dealing with a lot of the not-so-fun work of setting up a business (taxes, accounting, legal, fundraising, systems setup, etc.). I expect we’ll have 6-9 months of talking to customers and R&D work on the tech side before there’s much software to show off. That said, I do have a page on the website about our current, rough plan for the dataset and tool. Essentially, we want to help answer the question: “To whom, what, and where does any given target audience pay attention?” It’s broader than “influencer” discovery, and more akin to the first steps in a press, PR, branding, advertising, or outreach campaign. Alexandra Payne: Tell us a bit about the book you’ve written. What is it about? What has inspired you to create it? Where and when can we get it? Rand Fishkin: Lost and Founder: A Painfully Honest Field Guide to the Startup World was inspired by my journey at Moz, and the journeys of so many of my fellow entrepreneurs in the tech and marketing worlds. There’s so much mythology about how startups are *supposed* to work, and not nearly enough real stories, especially about the painful, hard parts. There’s a lot more failure than there is the success, and in my experience, very few people and companies who’ve had tremendous success are willing to be transparent (nor do their lessons apply to most of the rest of us). 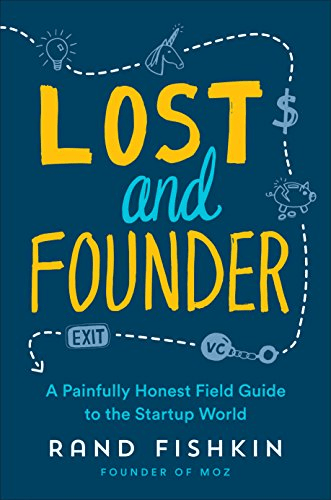 Lost and Founder is about telling a lot of those stories of pain and struggle – about layoffs, depression, team strife, failed product launches, bankruptcy – and of course, countering that with some things that did work (after all, Moz managed to survive all that and reach $47Mln+ in revenue). Alexandra Payne: You have been involved in the SEO world for about two decades. How has industry changed over this period? Rand Fishkin: Massively. The most significant shift, I think, has been from Google changing its model of serving up websites that fit a specific formula of well-cited and textually-relevant to a world where they’re genuinely trying to provide the “answer” to the searcher’s task. Many times, that means Google biases to not showing websites very prominently at all, other times it means their ranking algorithm tries to look at whether a site is solving the searcher’s problem. That’s changed the industry a lot as well. From the basement hackers and black hats (who dominated the field in its early days) to today’s teams of “science-and-art of SEO” marketers who most often work in-house or at agencies, there’s a professionalism and respect for the field that wasn’t there two decades ago. Alexandra Payne: What changes in web design should we expect in the nearest future? Rand Fishkin: I’m not a heavy student of the web design field, but I have seen more of a mix of web design and web marketing. The practices have more overlap now than I can recall at any time in the past, and I suspect we’re going to keep seeing those fields merge. Both are (when they’re at their best) trying to serve people – visitors and customers and users of products. When we (marketers or designers) stray from that mission, we often get into trouble. Alexandra Payne: Should entrepreneurs continue to invest in SEO or it is better to pay attention to other branches of online marketing? Rand Fishkin: You should choose your marketing channels based on your audience! If lots of people are already searching for what you offer, SEO is crucial to your work. If that’s not the case, and it won’t be long term, SEO probably isn’t the right channel for you to start with. Alexandra Payne: What tools for improving SEO and ranking, in general, would you recommend? 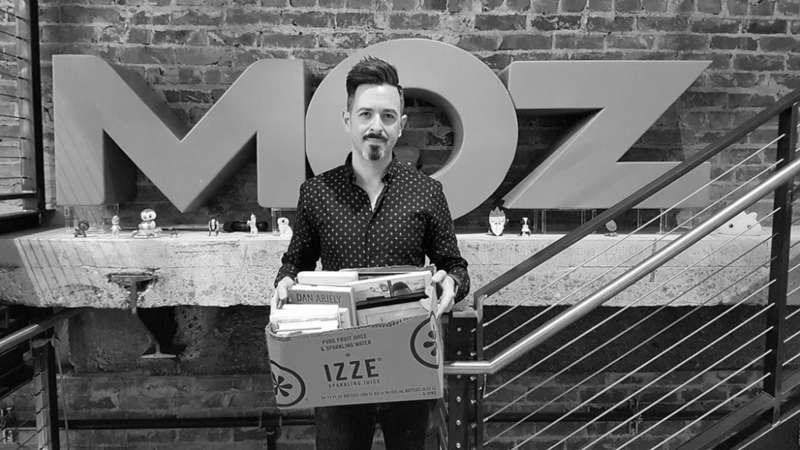 Rand Fishkin: Obviously, I’m a fan of Moz, notably Keyword Explorer. I also like Ryte, Yoast, and Screaming Frog. Alexandra Payne: What online resources about SEO, online marketing and entrepreneurship would you recommend? What are your personal favorites? Rand Fishkin: I’ve loved the stuff from IndieHackers lately – a wonderful community for entrepreneurs with a lot of great discussions. For online marketing, Moz’s blog is still my go-to, even after leaving the company. When Should You Hire SEO Specialist for Your Website?